Managed Futures, commonly associated with Commodity Trading Advisors (CTAs), is a subclass of alternative investment strategies which take positions and trade primarily in futures markets. Using futures contracts and sometimes options on futures contracts, they follow directional strategies in a wide range of asset classes including fixed income, currencies, equity indices, soft commodities, energy and metals. 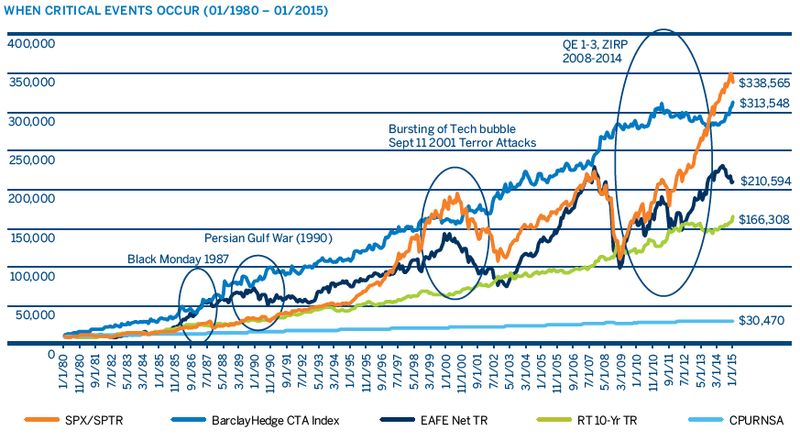 Although there are many types of Managed Futures strategies, the most common type is systematic trend following. Systematic trend following strategies employ technical methods to identify and profit from price trends in financial markets. This approach can vary in the level of discretion in the trading decisions, time horizon and risk management approaches. Why Invest in Managed Futures? Diversify beyond the traditional asset classes. Increase returns and reduce volatility. Returns evident in any kind of economic environment. Commodity Trading Advisors (CTAs), Pool Operators (CPOs), and Managed Futures Mutual Funds have access to a wide variety of global futures products that are liquid and transparent. The CTA/CPO/Managed Futures Mutual Fund community is regulated. Overall industry growth has been exceptional. **This information was taken from 10 Reasons to Consider Managed Futures by the CME Group. Institutional investors have been investing in Managed Futures since the mid-1980s. 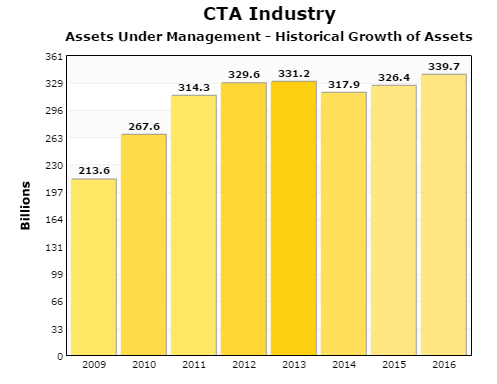 Since then, assets under management in Managed Futures programs have grown to $200 Billion. Today, a wide range of investors avail themselves of Managed Futures, from retail to high-net worth to institutional investors.